Do you want to join an elite and distinguished team? Do you like complex challenges? Are you passionate about working directly with Microsoft customers and partners to help them accelerate their transformation towards a digital transformation organization? 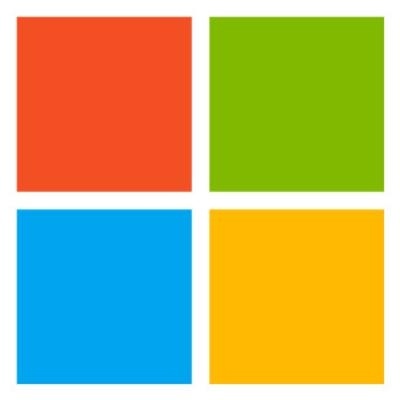 If so, the Technical Advisor position in the Microsoft Customer Service and Support Organization is a unique career opportunity for you! We are a diverse team who is proud to shape future technologies and deliver industry-leading services across the globe. As a member of that team, you will aspire to be our customers’ and partners’ trusted advisors to fuel some of the largest and most complex IT solutions in the world. You will constantly be exposed to cutting-edge software, services and devices. Technical Advisor (TA) specialize in product configuration. As an TA, you will investigate and solve critical, complex, technical issues and employ problem isolation techniques and product knowledge to solve problems. You will use sophisticated tools and analysis requiring the highest skill level of conflict resolution and collaboration. You will be responsible for building robust relationships across the business engaging with high profile individuals in order to deliver a quality support experience enabling overall customer success. We are also passionate about knowledge sharing and prioritize continuous learning and feedback sessions to provide ongoing mentoring within the technical support community. •Establishing and maintaining a strong technical relationship with the Supplier and internal frontline and escalations teams. •Work directly with TLs and SEs at the Supplier/GTSCs to foster collaboration, open communication channels and identify technical needs. •Actively collaborate with Suppliers/GTSC teams to provide product feedback to Product Group. •Review cases regularly providing guidance to expedite resolution and increase Customer Partner Experience. •Work with Supplier Support Engineering teams to monitor case wellness and provide feedback to management regarding technical ability, competency and process adherence. •Ensure recovery and follow up with Customers and Partners in appropriate situations. •Initiate escalation to internal channels based on customer need, case progress/wellness, or technical resource requirements. •Manage the transfer of sensitive cases from Supplier sites to internal resources when needed; monitor Microsoft aliases for response to customer and Partner queries and for appropriate use of the aliases by Supplier personnel. •Have regular technical teleconference and/or case reviews with Suppliers in order to drive continued technical growth. •Travel for periodic Supplier visits; when on-site, training and mentoring will be required for the Supplier Support Engineering teams. •Adhere to all standard Support Engineer goals related to personal development. •Must meet standard qualifications of the Support Engineer role for Exchange Online and Identity Online. •Need to have worked on Exchange Online and Identity Online. •Excellent communication skills including the ability to provide clear feedback. •Ability to develop and deliver training, and technical content. •Strong organizational skills including the ability to monitor multiple communication channels, review reports, organize and conduct effective meetings. •Ability to deal very effectively with ambiguity.